When my children were born, I was determined they would learn to swim. So, when a family member asked if I wanted an above-ground pool, I said yes. Each day that summer, we adjusted floaties on their arms and practiced the basics. My 5-year-old son quickly outgrew the floaties and began swimming like a fish…until we went to Ma-Ma’s house. Her in-ground pool had a shallow end (just like ours) and a deep end! And each day my son sat on the side watching his cousins swim. No matter how hard I tried to convince him to jump in, he refused to believe he could swim in that pool. When I entered the pool with him, he stayed with me, refusing to trust himself. Each day I encouraged him to go it alone without success. My heart ached as I watched many emotions play across his face. Happy. Sad. Determined. Resigned. At times, I thought he would take the leap, only to sit down again. One day, he stood on the side and I walked over, lifted him, and threw him into the pool. He had two choices—actually three. He could stand in the shallow end, swim to the deeper end, or call out to me. After the shock of being thrown in by his otherwise protective mother, he swam over to the side smiling. “I can do it,” he exclaimed while treading water. No, we didn’t carry on a long conversation because he went to play with the boys. Exactly where he wanted to be in the first place. Some may think me careless. However, I would have NEVER done it if I wasn’t absolutely certain he could swim. I had more confidence in him than he did in himself. Isn’t that like life, sometimes? Trying something new is scary. Even for adults. Just thinking of a new project, will often make one stumble. We know what we want. But something just keeps us on the sidelines while watching others meet their goals. 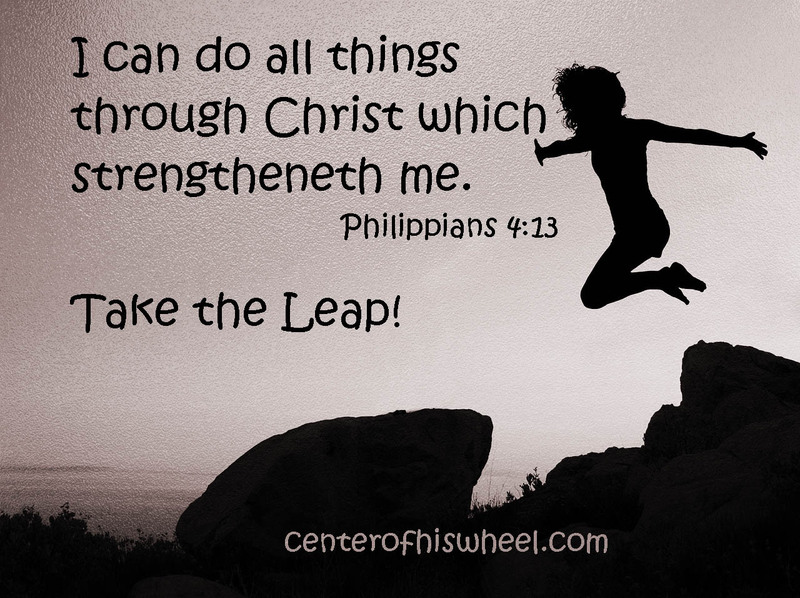 Yet all the while, the Lord encourages us to take the leap. But too many times we resist and allow our fears to immobilize us. But God has promised to never leave us nor forsake us. Anything that He has asked us to do we can do. Period. He doesn’t leave us in the middle of a project. He’s there until the end. And when we need a little shove, He pushes us. Let me tell you my secret. When I’m feeling overwhelmed, the first thing I do is ask myself, “If this were my last day…” Morbid? Maybe. But it keeps me focused. Besides, aren’t we all? Dying that is. Stand in the truth. Swim with all your might. And when the sea begins to roll, call to Him. I promise He will show up walking the waves! Thanks so much, Sandra! Congrats on your new release! Great post, Gail! And I LOVE Erma Bombeck. A wise and entertaining lady!